Islay is most well-known for its whisky, so we couldn’t leave the island without learning a bit more. Guest writer, Rachael MacNeill has given us her inside view. My time is taken up with two projects: Whisky For Girls and Wild and Magic Islay. www.whiskyforgirls.com host Whisky Tastings, Whisky Events, I write about Whisky. I am undertaking #BSWA Big Scotland Whisky Adventure, where I am travelling around Scotland visiting all the Malt Distilleries and writing about them for the website. People can also follow the journey on Whisky for Girls facebook page and Twitter @WildandMagic. Whisky for Girls takes me out into the world and www.wildandmagicislay.com brings the world to me in Islay. 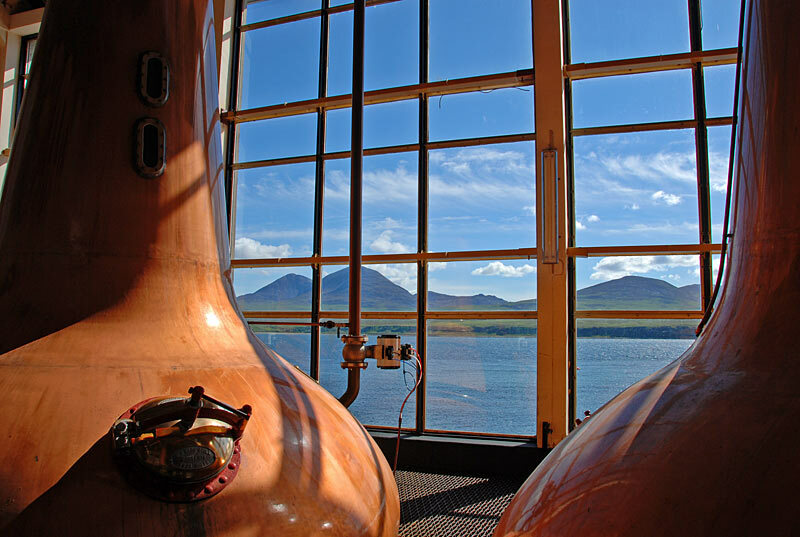 We offer various inclusive tours on Islay ~ Spirit of Distilleries, Spirit of Gaelic and Culture, Spirit of Islay. My guests come from all over and we offer them a taste (literally!) of all the things Islay has to offer. I was born on the Isle of Colonsay but we moved to Daill Farm, Bridgend when I was one year old, so I am brought up in Islay. My love and passion for Islay comes from my love and passion for Scotland herself. I love the rural life and the easy pace of life here. I love the people and the way we live here, our values and community. I have a tremendous respect for Gaelic culture and the land and communities of Scotland. I love the character of island people, so friendly and warm. I am very pleased that I come from a culture and a land such as this. 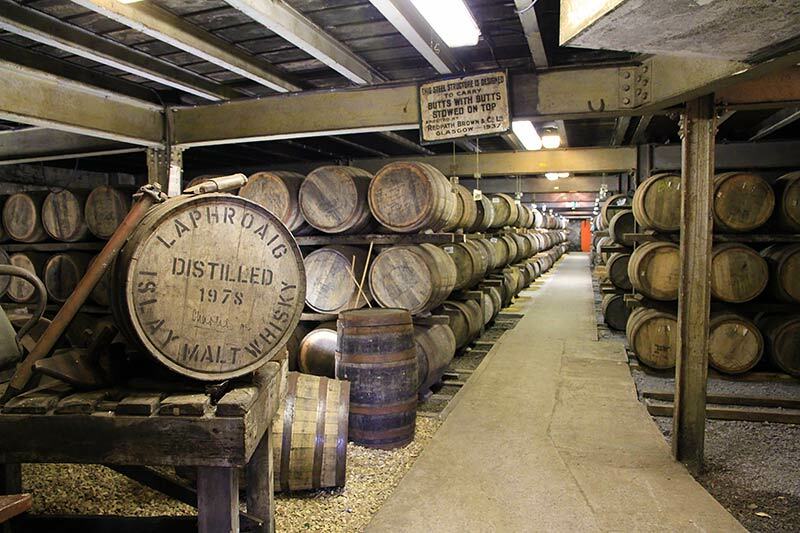 Islay is a wonderful whisky island because we have/had the peat to fire all our stills away back in the day. The Excise Men came from outside and were foisted on other communities to collect taxes on whisky. The Campbells of Islay were the king’s men, so they were allowed to collect their taxes themselves. As the whisky making places would have been owned and run by relations and kinsfolk of the Campbells they would allow them time to pay their taxes and so the distilleries managed to gain a foothold without being shut down for non payment of taxes that occurred in other places. 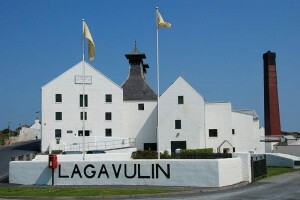 So the Islay distilleries had a start up advantage in a way over other places in Scotland. Also, in the time of prohibition in America when no one could drink alcohol ~ one could still drink Laphroaig as it was regarded as medicinal!! 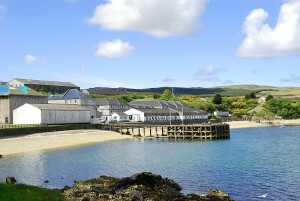 The Islay distilleries are all very special. Traditionally Bruichladdich and Bunnahabhain are thought of as unpeated ~ however, they both produce a peated expression now. Bruichladdich under the brand name Port Charlotte and they also produce the most heavily peated spirit in the world ~ the famous Octomore. This is an amazing dram, although it has huge ‘ppm’ ~ which means parts per million phenol ~ which is the way the peated levels are calculated, the actual spirit of Bruichladdich is so clean and fresh and light, that the Octomores are not overwhelmingly peaty in the way, say a Super Nova from Ardbeg might be. 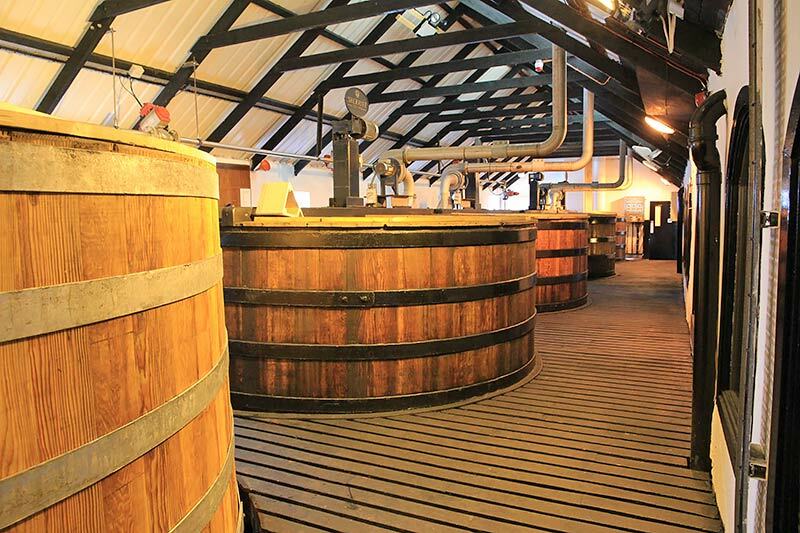 The new independent distillery at Kilchoman is thriving and making a very popular whisky. 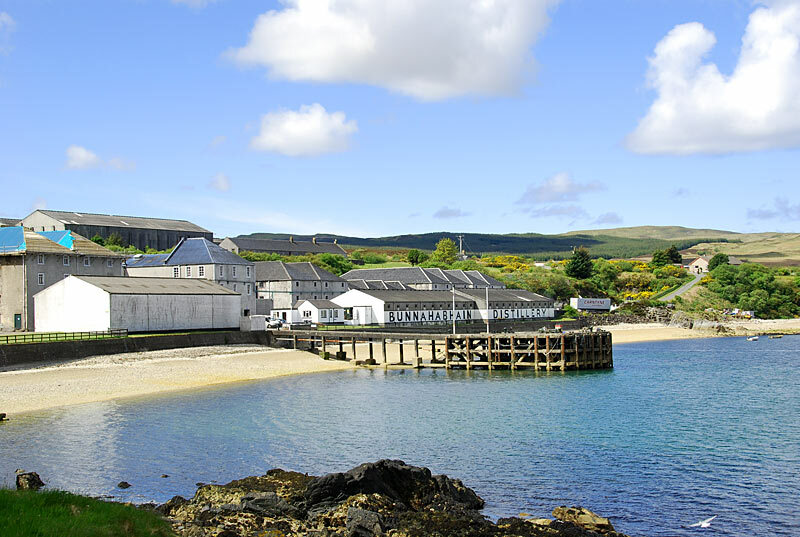 All the Islay Distilleries are on the sea, except for Kilchoman which is 10 minutes from the beach and situated on a farm. 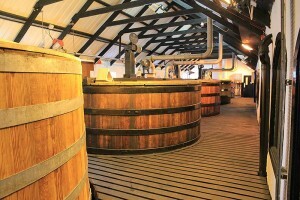 This is very traditional as originally all the distilleries began on farms. Bowmore Distillery’s master blender is Rachel Barrie, formerly of Ardbeg. Lagavulin Distillery Manager is Georgie Crawford, an Islay girl; Michael Heads is manager of Ardbeg and John Campbell is manager at Laphroaig. I am pleased that these are all local people in these positions. Islay is famous for it’s peated drams. But the distilleries offer one the opportunity to try whiskies which are peated and unpeated in such a variety, that if someone says to me that they don’t like whisky, I reply that they just haven;t found the right one yet! It is very difficult to choose a favourite whisky as it depends on the time of day, on one’s mood, what the weather is like and many other variables when one is drinking a whisky. I love all the Islay whiskies, but I must say I have particular fondness for Kilchoman’s 100% Islay, also Bruichladdich’s range of organic whisky and their bottlings made from the barley grown on Islay fields, by Islay farmers….. also their whisky made from an old strain of barley called Bere, which is very flavoursome. I said it was really hard to pick a single favourite ~ they are all my favourites! !